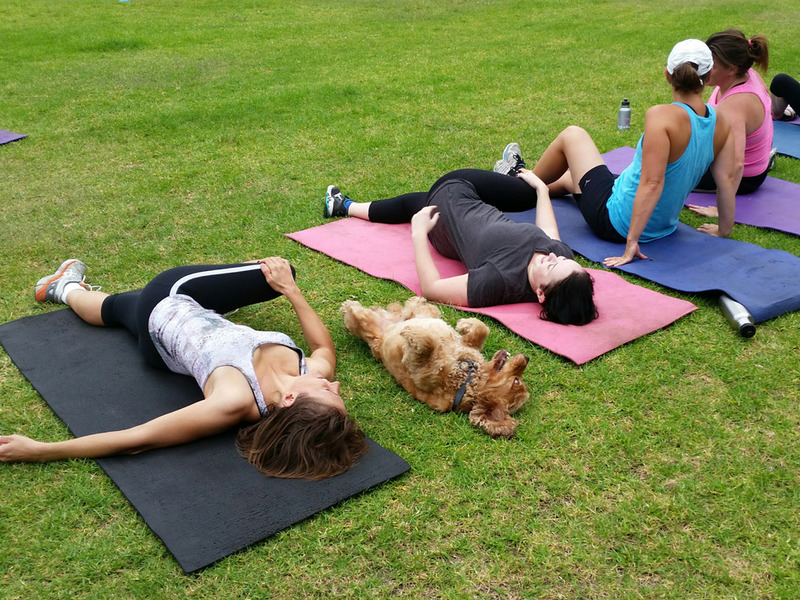 At Goddess Outdoor Fitness we know every woman is different, so we tailor our training programs to ensure you always get the most out of your workout, regardless of your fitness level. 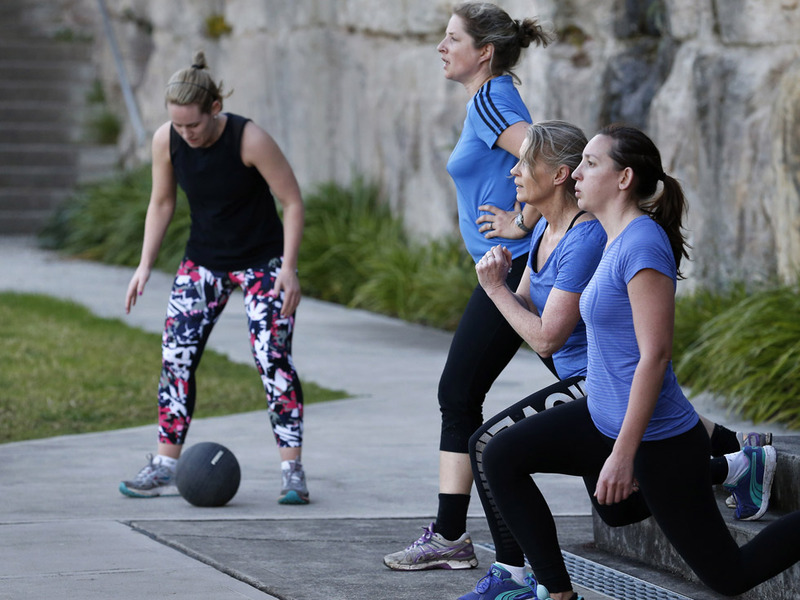 Our Bootcamp and Mums-and-Bubs sessions are women-only, which means we can focus on the things women want from their training – toning, firming, getting fit, strong and lean – in a supportive and fun environment. (Our corporate sessions, however, include the blokes – if they’re game!). Because we keep our group sizes small (on average, a maximum of 12 per session/ 8 for mums and bubs), you’ll get the individual attention you want and need. Keeping class sizes small means we can scale the intensity of the sessions to suit your ability and fitness level and cater to each individual’s needs. Unlike some one-size-fits-all bootcamps, we put a big emphasis on correct technique and good form to ensure you get the most out of every session and to help you avoid injury. We know you lead a hectic life, and things pop up unexpectedly, that’s why we give you the option of training one, two or unlimited times a week. We recommend training at least two days per week to get the maximum benefit, but if one day a week is all you can make, that’s better than nothing! You’re not locked in to any particular days, so you can train whichever day/s suit you on a week-to-week basis (see Schedule for times and days). 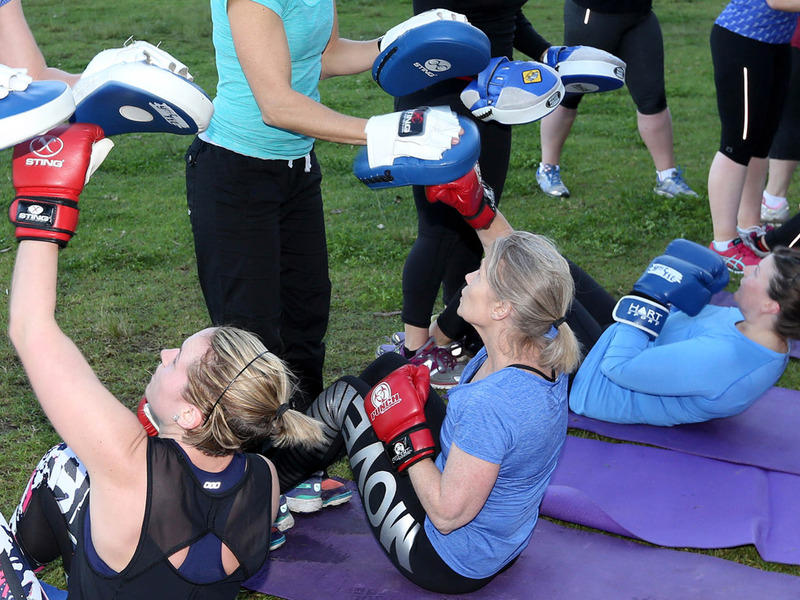 And you can combine Bootcamp with Mums and Bubs (many of our clients do) if you want to do a mix of the two. Plus, if you miss a session, you can make it up any time that month so your sessions don’t go to waste! 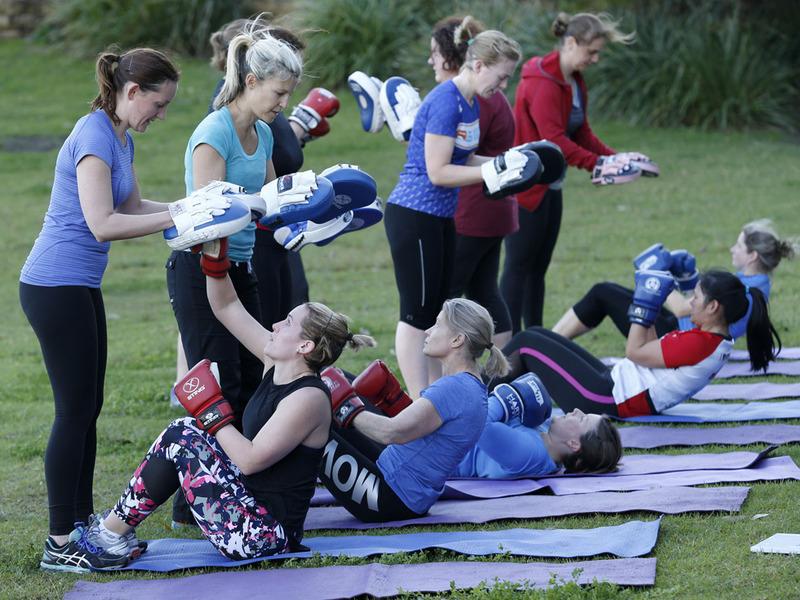 Our Bootcamp and Mums and Bubs terms run for four weeks so you’re only committed for that period – but we find most of our clients continue on, month after month. Feel free to contact us anytime if you have questions in mind. Where do we start… fun, fitness, friendship. Lots of f-words! 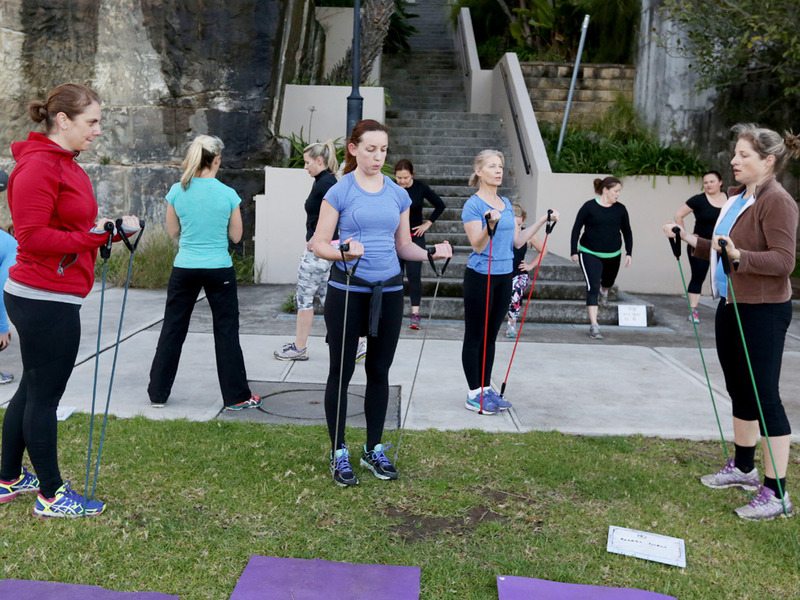 Goddess Outdoor Fitness is a super-supportive, welcoming group that caters to all fitness levels. Amy is an experienced, caring trainer who makes sure every session is varied, challenging and suitable for everyone involved. The session sizes are small so you get individual attention within a group setting. Sign up for a free trial and if you enjoy it and you’re keen to continue we’ll send you the direct debit form and you’re in! Bootcamp sounds hard! Do I have to be fit to keep up? No! One of my favourite (though admittedly cheesy) sayings is – you don’t have to be fit to start but you do have to start to get fit! 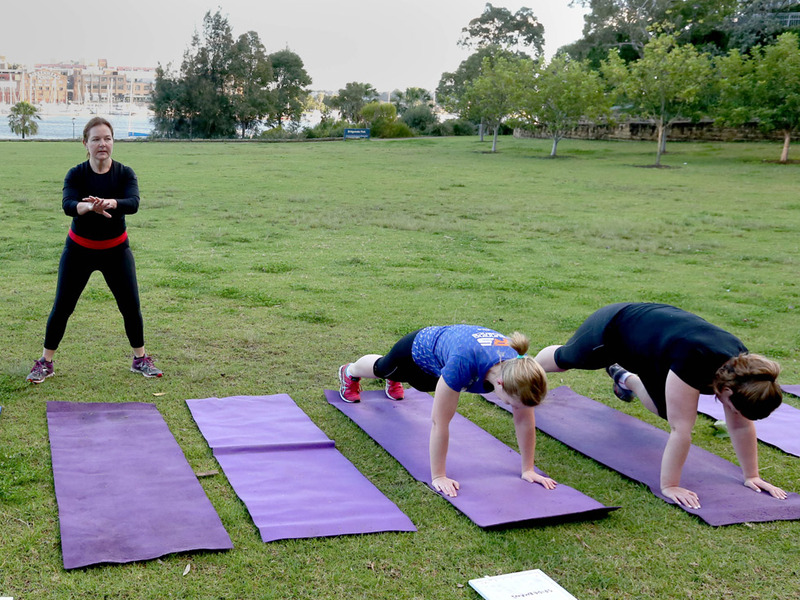 Goddess Outdoor Fitness caters for a wide range of fitness levels and each session is tailored so that everyone – whether just starting out or a superfit machine – gets a challenging workout. And there’s no judgement so you’ll never feel like you’re the odd one out or holding others back! Our bootcamp and Mums and Bubs sessions are an hour long. Our corporate sessions are 45 minutes to fit in with your work schedule (but can be extended by request). We run sessions 6 days a week (Monday to Saturday) etc (Monday to Saturday) at various times (see Timetable for times and locations). Corporate and private sessions are also available outside of these times – email or call Amy to discuss availability. Sessions go ahead regardless of the weather! We have undercover areas nearby where we’ll move to if it’s raining – participants will be informed half an hour before the session starts if that’s the case. How many people attend each session? It varies depending on the day and time, but generally speaking Mums and Bubs is a maximum of 8-10 and Bootcamp is 10-14 people. Our corporate sessions cater for up to 16 participants (for more than 16 we’ll add an extra trainer or an additional session). I just had a baby and would like to start Mums and Bubs. How long should I wait before I can join? For most natural, straightforward births, six weeks is a standard waiting period before starting training. If you’ve had a caesarian then eight weeks is standard. We ask that you get clearance from your doctor or midwife at your 6/8-week check-up before starting our classes to be on the safe side. Even then we’ll ease you back into training with a focus on core/ pelvic floor stability and strengthening before commencing any higher-intensity activity. Pelvic floor health is paramount! We supply all the equipment, including mats. If you have your own boxing gloves, feel free to bring them to boxing, but if you don’t we’ll supply them for you each session. Otherwise just bring a water bottle and towel. If you miss a session you can make it up any time during the same term on another day. Do I have to wait for the 4-week block before I can start? Nope, you can start any time! Pro-rata rates are applied for those starting partway through a month.